When birding the Dibdibah Plains we saw quite a few Bitter Apple citrullus colocynthis growing mainly in the depressions. 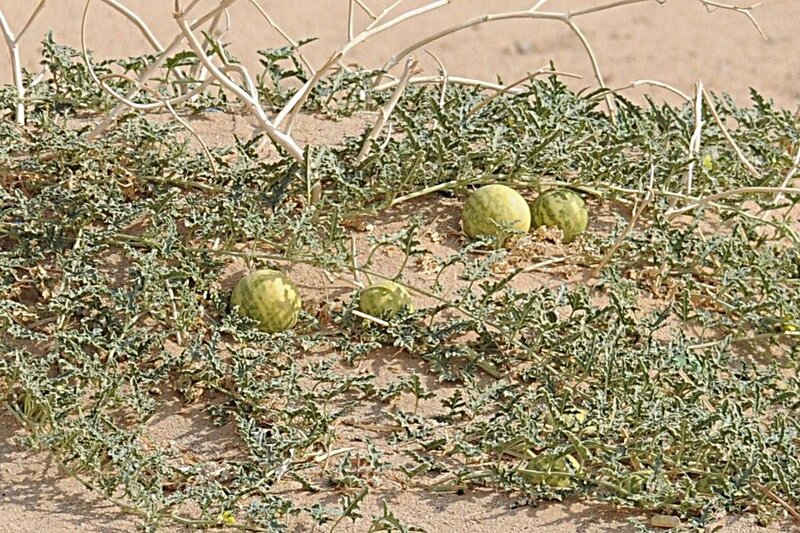 They were probably seen in good numbers as it rained two weeks previously and this would have allowed them some moisture to fruit. These plants are a creeping perennial species. 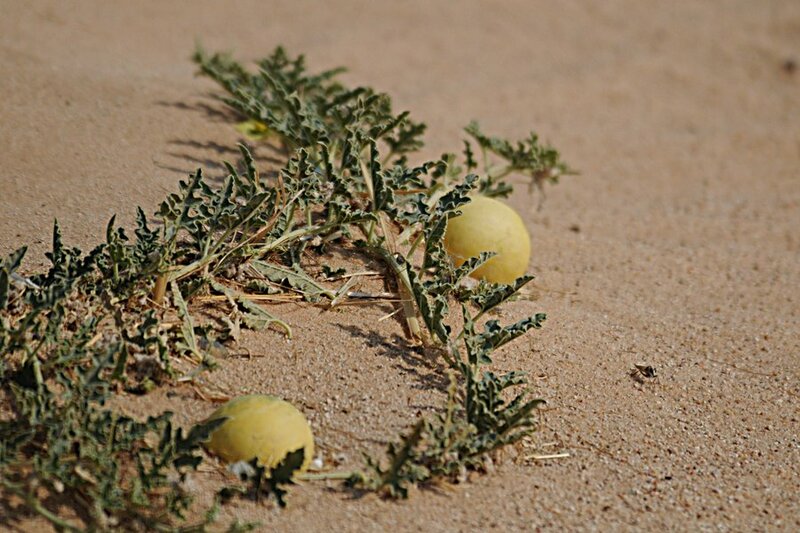 The fruit is a globose, smooth gourd that is variously stripped green and yellow-white that turns yellow when ripe before dying. 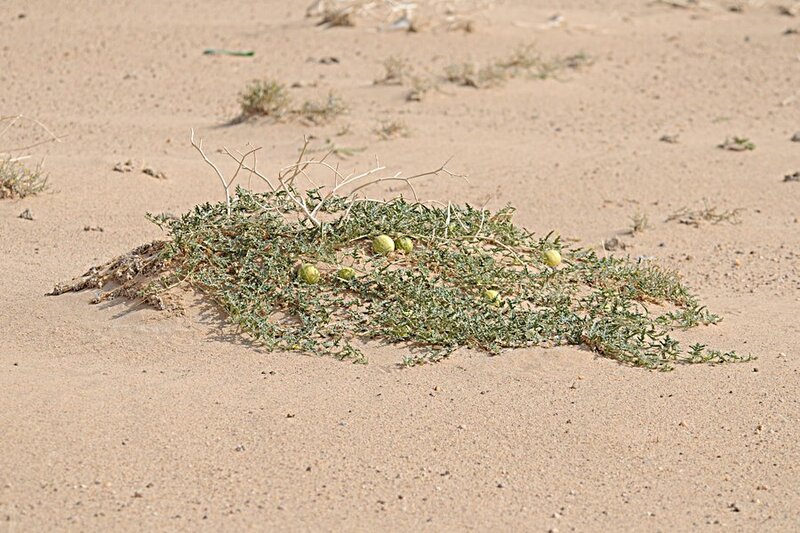 They prefer sandy or silty ground, particularly in wadis and are common in the Eastern Province of Saudi Arabia.